Who are the Appland Partner Facebook Stars? 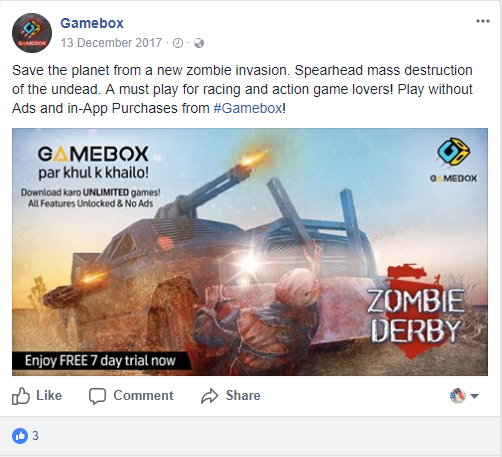 Gamebox page has over 22k likes and has a very well engaged audience. Based out of Islamabad they make it a point to post at least twice a day and also use regional languages to make their target audience comfortable. This ensures they have some very shareable content like memes around gaming that further shoots engagement rates through the roof! 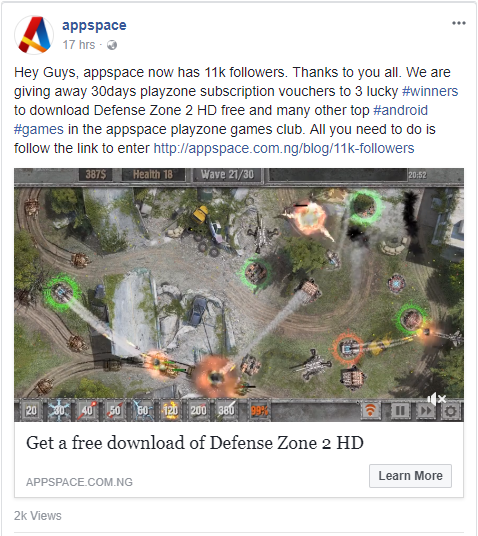 With 11k+ likes Appspace makes it a point to post every alternate day and frequently host giveaways or congratulatory posts on engagement milestones. They let their users know about new launches and are very prompt to answer any queries that pop up in the comments section. 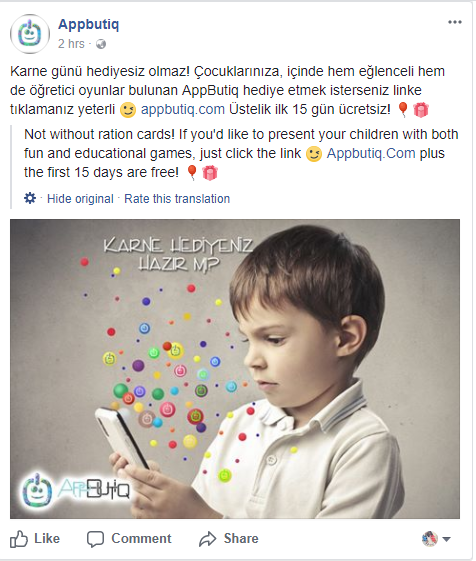 Appbutiq is a Turkish partner who is very active on social media and posts only in their native language. This is certainly an interesting page to watch out for! Since linguistics play a huge part in engaging with your target audience, they obviously have theirs figured out entirely. likes complex and competitive action games. They are updated about the latest gaming trends and also love to be a part of the gaming community. 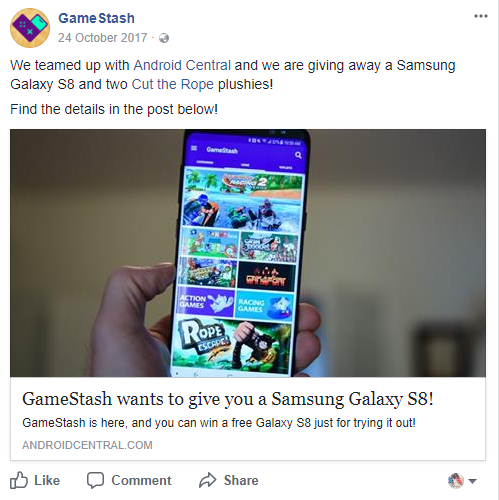 We've written previously about how Gamestash has been active on other social media networks but we were quite curious to see how they represent themselves on Facebook. We were certainly not disappointed! They've collaborated with various third party websites for giveaways, sponsored content and even special mentions. They made it a point to cross pollinate these posts across social media networks. Making their social posts that much more organized and automated! Obviously having a great Facebook page is integral. Building your following is also important and taking a cue from the best practices displayed by the 4 Appland Partners would be great but we'd like to take you just a tiny step further. Organic reach of posts may begin to go down with Facebook algorithm changes such as this one. So what can you do to ensure that you're still reaching your target audience? 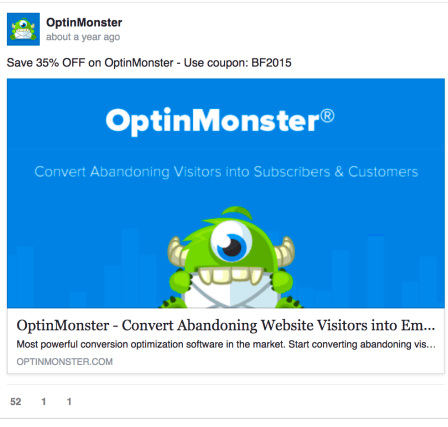 Enter the confusing yet invigorating world of Facebook advertising! For your first tryst with social media advertising, we'd like to give you a few small pointers. Perhaps it could set you on the right course. When an ad is simple and colorful, it becomes all the more compelling against the rest of the more sober social media feed. According to research by EmeraldInsight is that people make up their minds about a product within 90 seconds of the first interaction. About 62-90% of their assessment is on colors only, and in this scenario, it is integral to look at creating colourful advertisements that instantly make the user associate fun and joy with your brand. The Aggregate blog ran an A/B test on the above 2 ads and discovered that the white ad had a 60% higher CTR and attracted 40% more conversions! Creating ads with a white background and colourful icons can differentiate your ads from others vying for your target audience. Using well known concepts and logos can incorporate an element of social proof in your advertisements. If viewers can associate your brand, which may be relatively unknown to them, with other well known ones they can trust your brand just a tad bit more than they would otherwise. 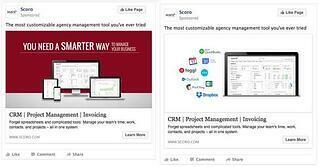 In the A/B test mentioned above, Aggregate blog used these icons to great effect. Now you've created a beautiful and engaging ad that you hope captures the attention of your target audience, now what? With different image and copy combinations performing differently, it is very important to A/B test and see which combination works best. You can use automated A/B testers such as RevealBot to figure out exactly which combinations perform best. It makes no sense to show someone who has already purchased your product/service your ad. It wastes valuable money that can be used elsewhere. In order to exclude your current customers create a new retargeting list which can be excluded while running advertisements. It's as simple as that! 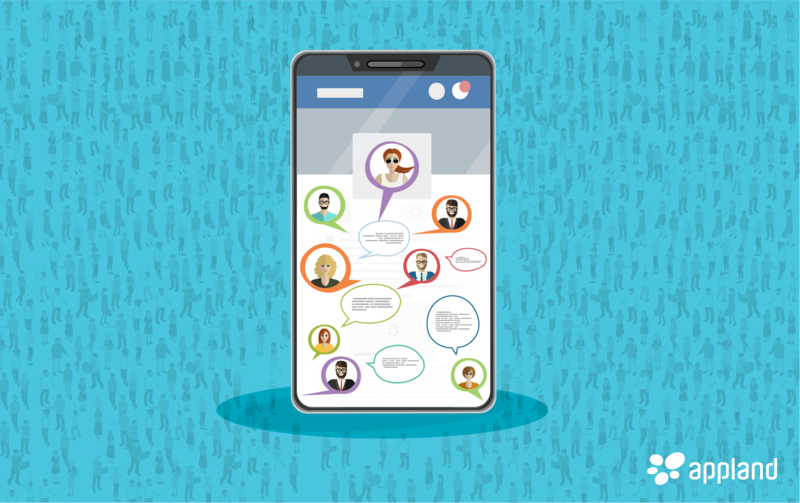 A buyer persona is an integral component of social media advertisements and if you don't have it figured out before your advertising you'll have to indulge in some extensive testing to do so. A Buyer Persona is an ideal representation of that person who is most likely to purchase your product/service. By targeting your marketing efforts on this imaginary representation you are much more likely to create humanized content and target your ads well. This will allow you to hone your Facebook Ad Targeting and ensure that only quality leads are produced. This is where pages with existing audiences can really shine. 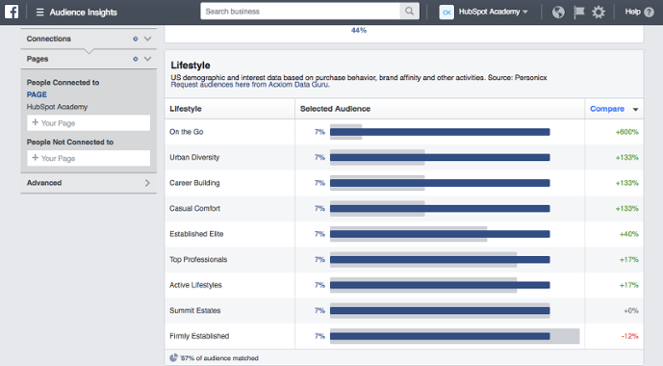 with tools on Facebook that allow you to analyse your audience and create insights, buyer personas can be built very quickly. This is just the tip of the iceberg with respect to what social media marketing can do for Appland partners. 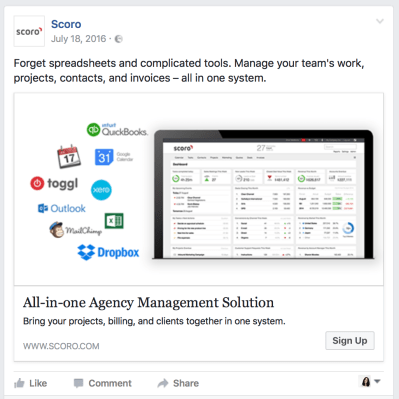 But we sincerely hope that these pointers could inspire you to look at Facebook as a viable alternative to build your user base. If you can offer Appland partners any additional tips to build user base do comment below, we'd love to hear from you!